Bidayuh, Iban, Melanaus, Orang Ulu, Chinese and Malay — the ethnic composition of Kuching, the capital of the East Malaysian state of Sarawak, can feel as diverse as the exotic flora and fauna showcased on postcards sold in Bornean shops. Similar to many other cities in Malaysia, visitors are hard-pressed to discern the actual ethnicity of the people walking the streets, a natural state of perplexity that derives from many outsiders’ absence of any knowledge of these ethnic groups, as well as inter-marriage. During my recent visit to Kuching, I met with some influential minds of the state — and then gave myself some time to mull over the exact allure of this far-flung fantasy world, where nomadic hunter and gathers still roam the deep jungles and animals of an alien kind find their homes high atop the branches. Below is an excerpt from my latest piece with the Borneo Post, also published on Investvine. Kuching is a big village, a kampung besar. This is an honest perspective from an outsider after spending two weeks in Sarawak’s capital, a remote outpost of Borneo that is somewhat more than a town but less than a city. It is this intimacy, bred of an idiosyncratically Borneo reclusiveness, that has lured in visitors from near and far through Kuching, or ‘Cat City’, the aptly domesticated gateway to more primal unknowns. Tourism has been a part of Sarawak’s DNA for the dec­ades that have elapsed since foreigners began penning their fascination with this slice of Borneo, today still a byword for exotic flora and fauna of an alien kind. 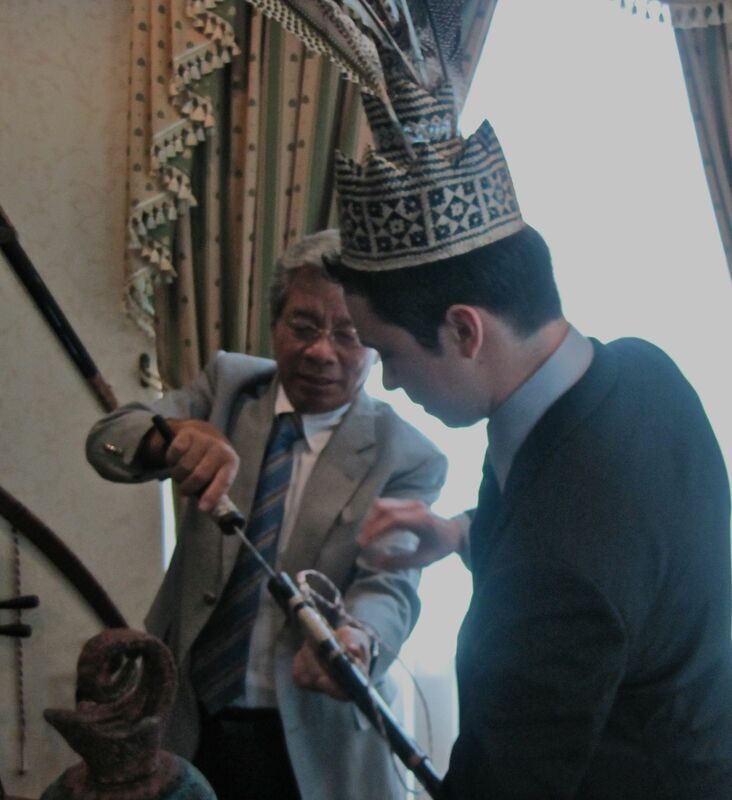 “Before Malaysia’s forma­tion as an independent state, Sarawak was very much iso­lated – a place that writers would romanticise, describing a far-flung land rich in biodiver­sity and home to over 30 ethnic groups,” deputy Chief Minister Tan Sri Alfred Jabu recently remi­nisced with Inside Investor.